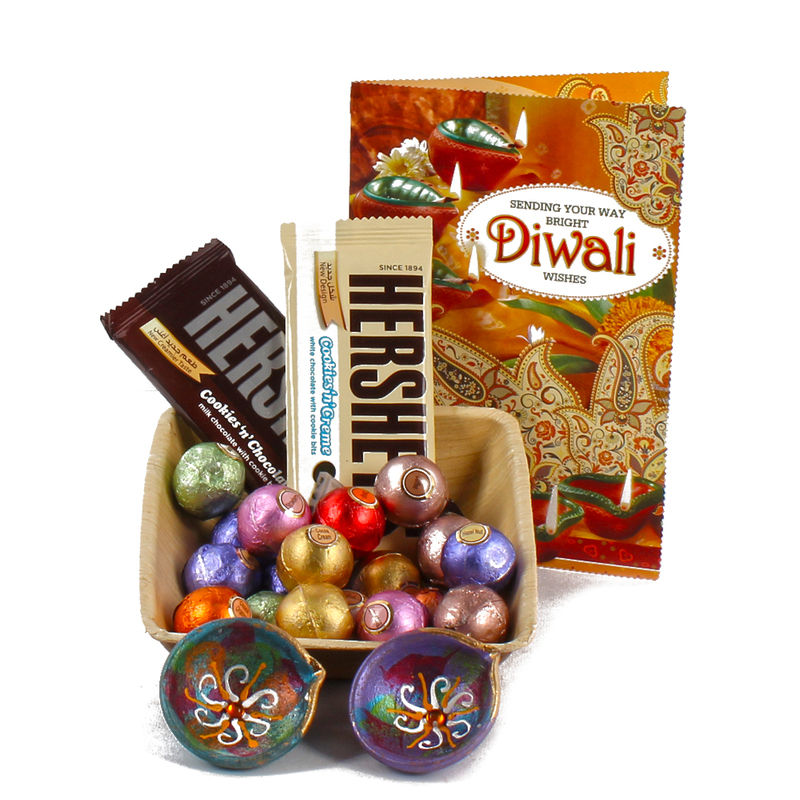 Product Consists : 2 bars of Different flavor Hershey Chocolates (Weight : 35 Gm Each) along with Centre Filled Assorted Chocolates Balls in a handmade plate (Weight : 100 Gms) and Set of 2 Traditional Earthen Diya with Diwali Greeting Card. 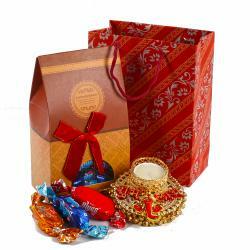 Packed with unique and thoughtful gifts, this is an incredible chocolate hamper specially curated to make Diwali celebration special for your loved ones. 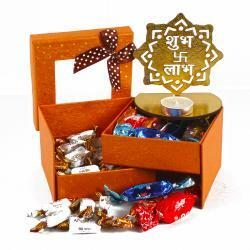 This hamper includes an 2 bars of Different flavor Hershey Chocolates its just a mouth melting to send best wishes of prosperity and fortune to loved ones along with it a delicious and Filled Assorted Chocolates Balls in a palm handmade plate complete this hamper and to Express your heartfelt wishes for your loved ones on the auspicious occasion of Diwali with this appealing greeting card to treat their taste buds. The Earthen diyas are glows on the Diwali Eve. 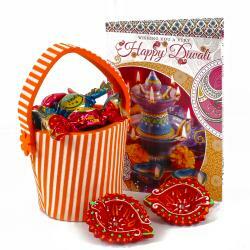 So get it ordered online and make your loved ones feel special this diwali and new year. 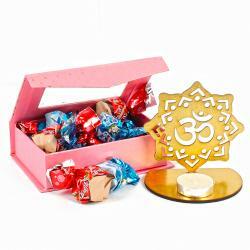 Product contains : 2 bars of Different flavor Hershey Chocolates (Weight : 35 Gm Each) along with Centre Filled Assorted Chocolates Balls in a handmade plate (Weight : 100 Gms) and Set of 2 Traditional Earthen Diya with Diwali Greeting Card.